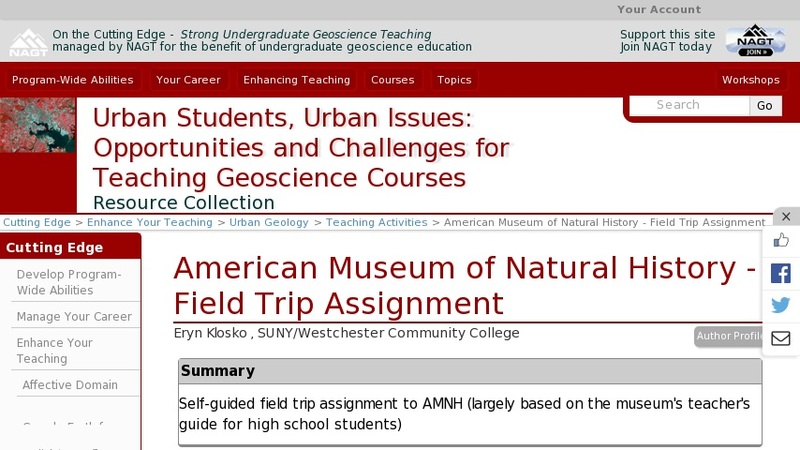 Self-guided field trip assignment to American Museum of Natural History Hall of Planet Earth exhibit (largely based on the museum's teacher's guide for high school students) There are 5 main areas of investigation in the hall that these questions address: How did Earth form? What makes Earth habitable? Why are there Mountains, Volcanoes, and Earthquakes? How do we read the rocks? Why are there changes to Earth's climate?